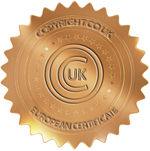 The Copyright: American, European or worldwide? The word copyright initially designated the concept of author's rights in American law (Title 17 of the United States Code). In the USA, unlike author's rights as known in Europe (Belgium,. France, Italy, Spain) and in some 164 signatories to the Bern Convention, the copyright requires a copyright filing, not to create this right but in order to assert one's rights in the United States. The Copyright is a right which in Europe is an automatic right for which the filing does not grant the right but proves a right existing because of the creation, on the condition that the creation is original. The word Copyright, while purely indicative, is formalised by the symbol Copyright©, followed by the year of publication and the author's name (or the company that filed the copyright). -The Copyright represents the automatic right - the author's right - conferred upon the author over his creation, without formality. -the copyright filing for a work (literary, artistic, musical) proves that one is indeed the author, which avoids those (many) cases in which it will not be possible to prove that one is the author, or to prove on what date a work was created (date certain and proof of anteriority are key to a suit for copying or plagiarism). -Unless one must collect royalties from American copyright management companies, a copyright filing providing official and certain proof of the creation, paternity, copyright and anteriority of that copyright, the filing is valid in all countries signatory (including the USA) to the Berne Convention and makes it possible to assert one's rights in all those countries. -The Copyright is extremely valuable (to the extent it is accessible by a Copyright filing via the Internet) in Europe and the Americas. -The Copyright must be filed as soon as the creation is completed. -Each time the creation is modified (updated, amended), the filing must be done over again. This is so that the Copyright filing contains the most recent (and hence complete) elements of the work to be protected.